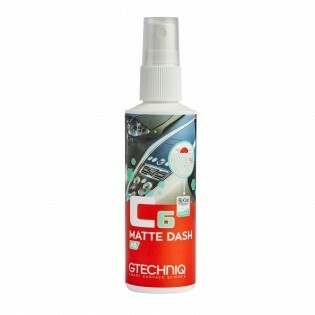 Why use Gtechniq C6 Matte Dash? C6 Matte Dash is specifically designed to protect dashboard and door card materials including vinyl, plastics and rubberised finishes. The coating adds abrasion resistance and UV protection to treated surfaces. And with added Biocote® antimicrobial technology, treated surfaces kill 99.9% of bacteria. C6 will not affect the gloss of your car’s trim and leaves a natural feel. This product should not be used to protect suede, nubuck or any fibrous finishes.